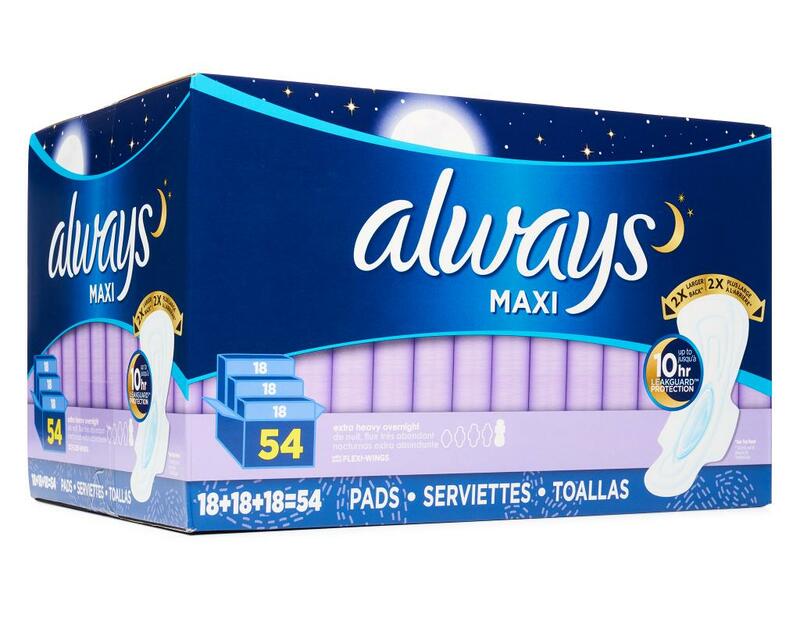 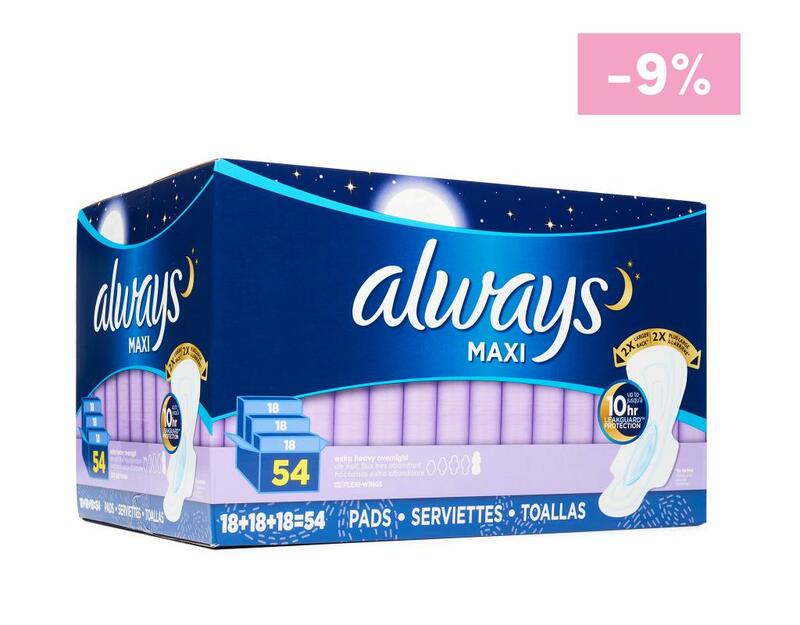 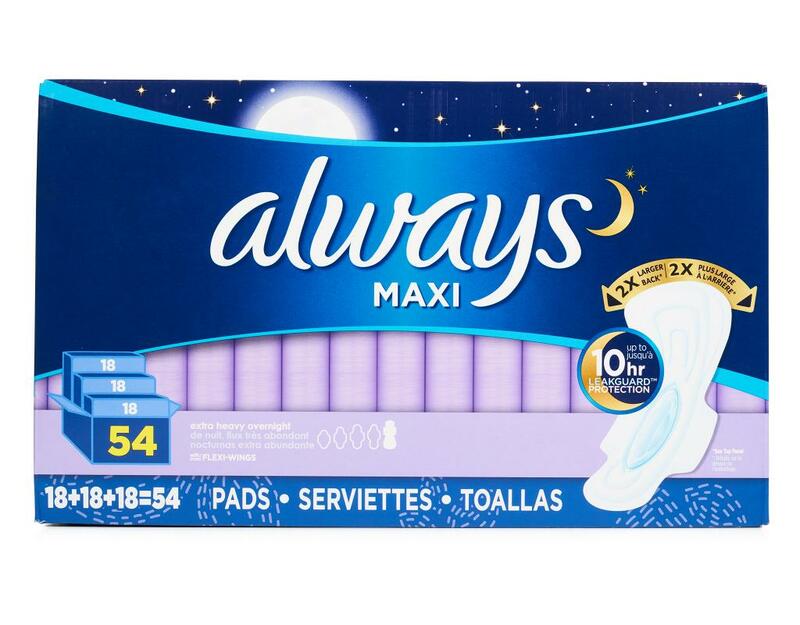 With a body-hug fit, Always Maxi Overnight Extra Heavy Flow Pads feature LeakGuard Core Plus RapidDry to pull fluid deep into the core and away from the edges for the best overnight protection. 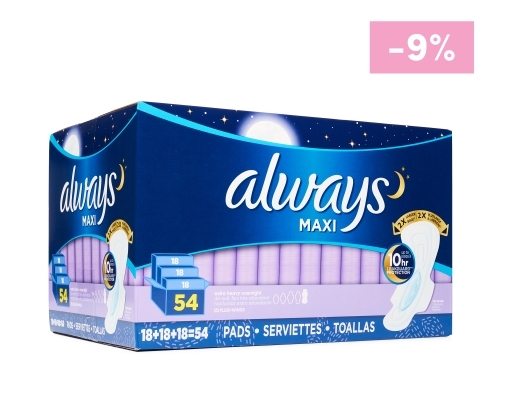 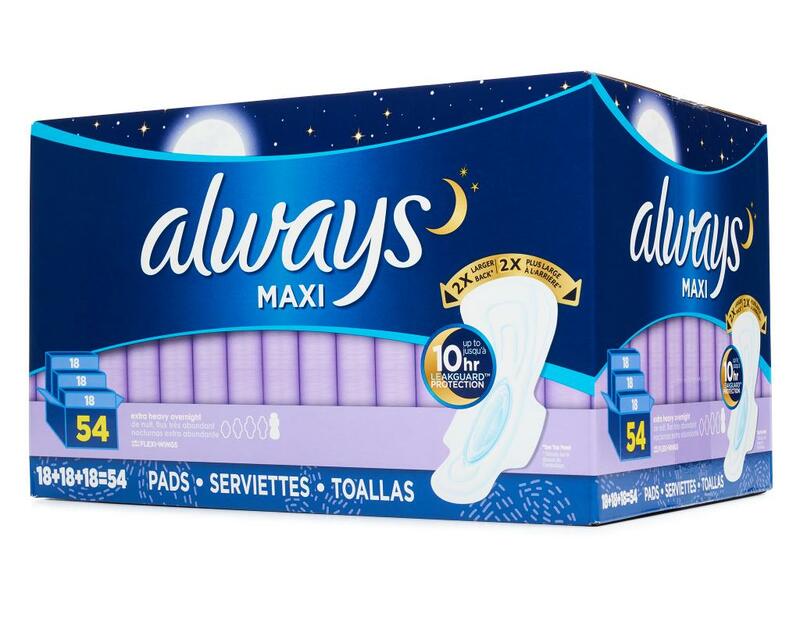 Always Maxi Overnight Extra Heavy Flow Pads feature a 2x larger back designed to help protect while you sleep. 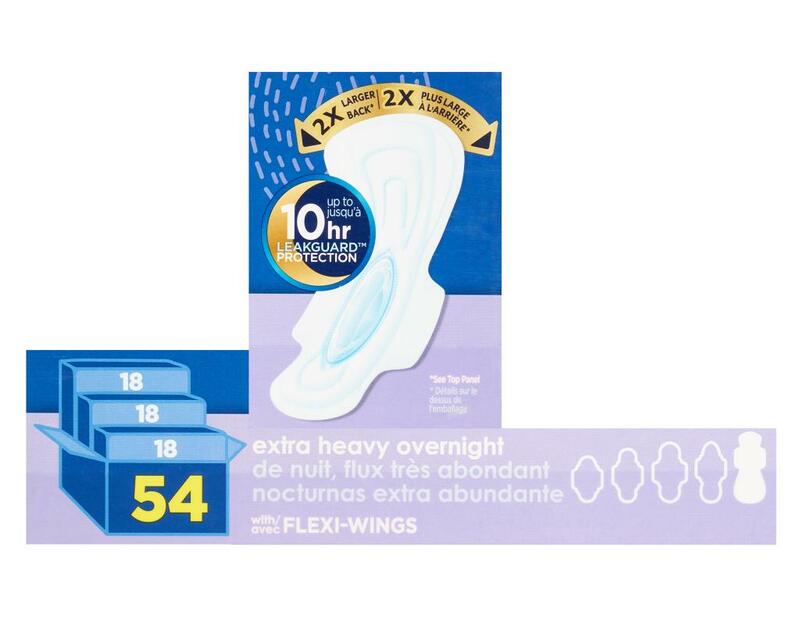 It also features Flexi-Wings that flex as you move, helping them to stay put and protect against leaks. The LeakGuard Core Plus RapidDry pulls fluid deep into the core and away from the edges for 4x drier protection. 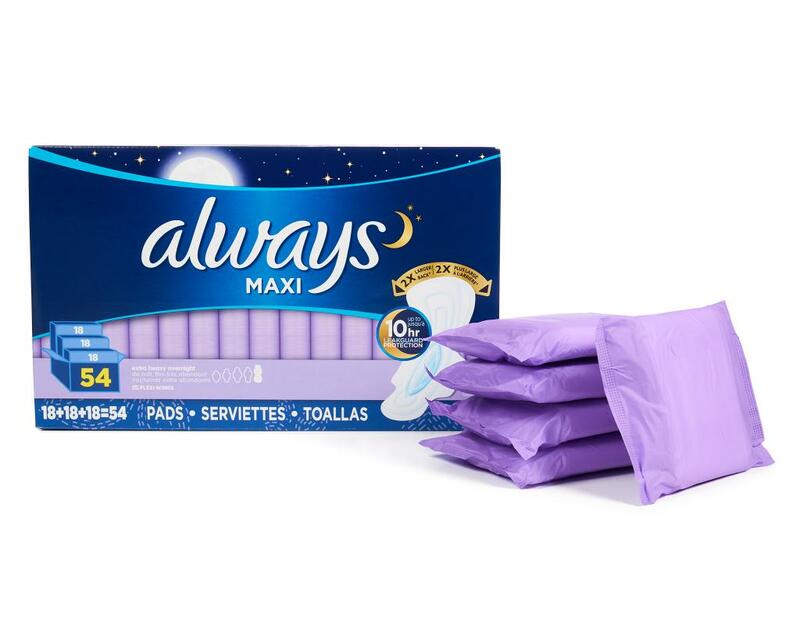 Being longer than Regular, Long Super and Overnight pads, Overnight Extra Heavy Flow pads offer the best overnight protection.